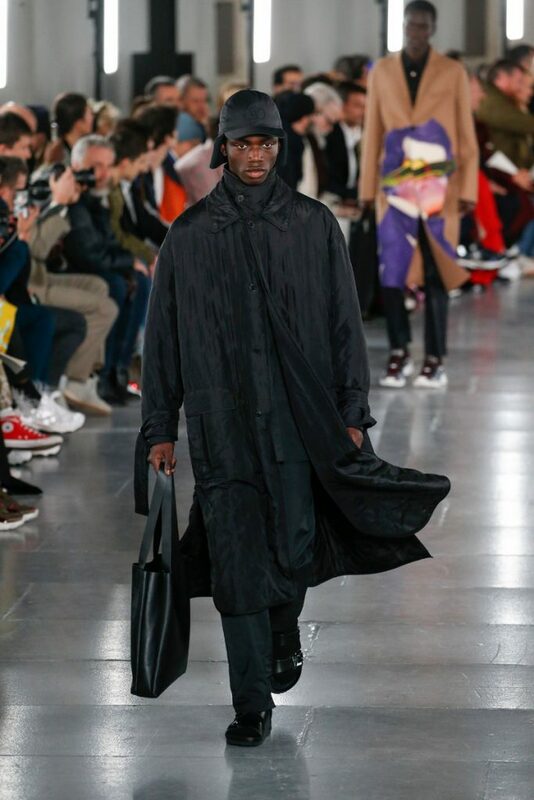 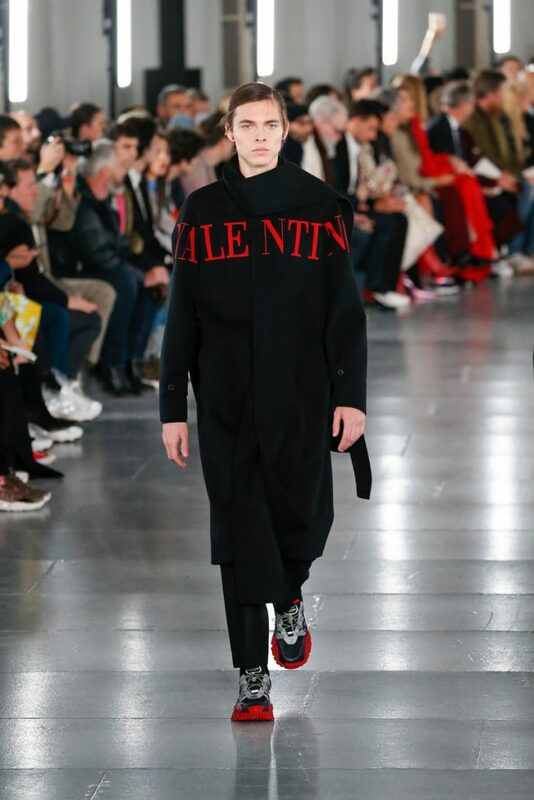 Pierpaolo Piccioli set up some collaborations for fw2019. 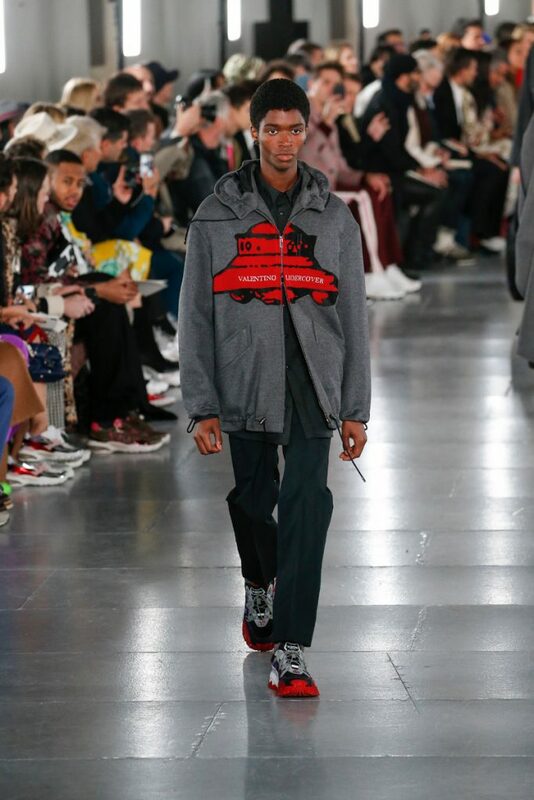 First he joined forces with Jun Takahashi of Undercover. 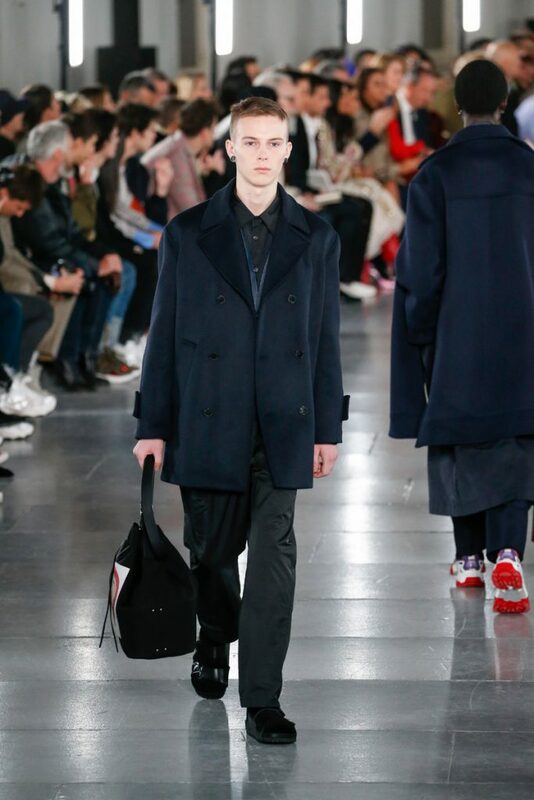 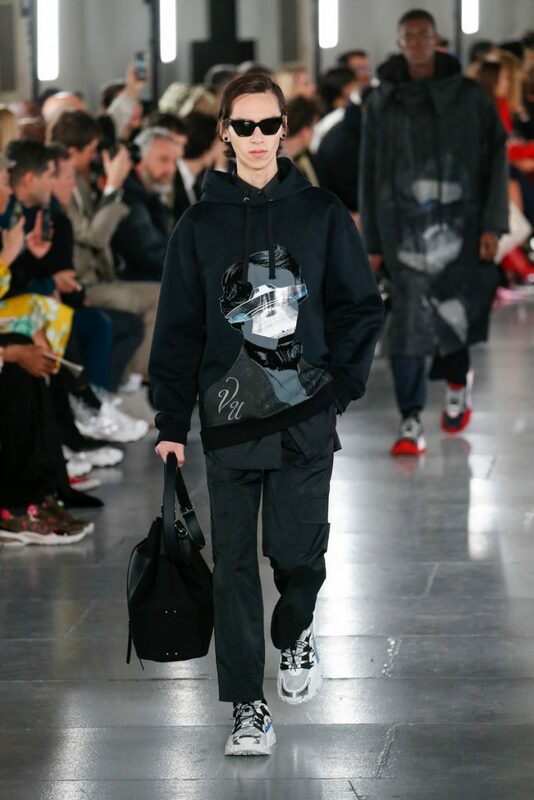 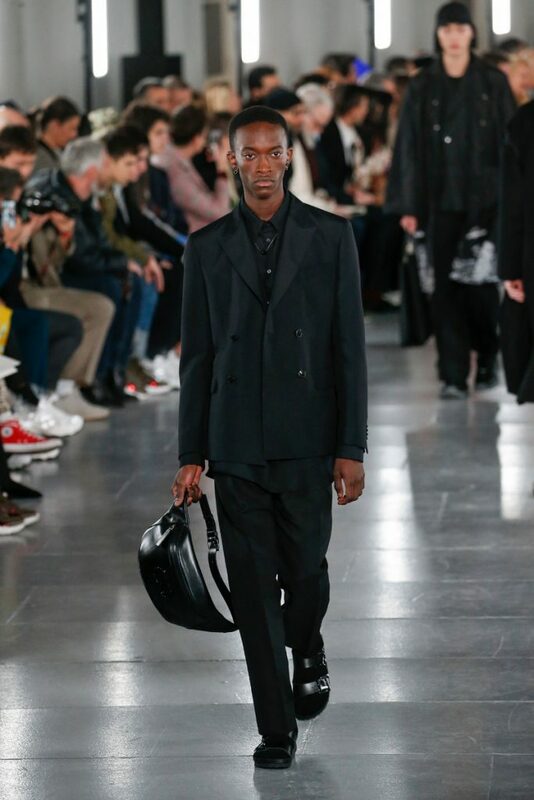 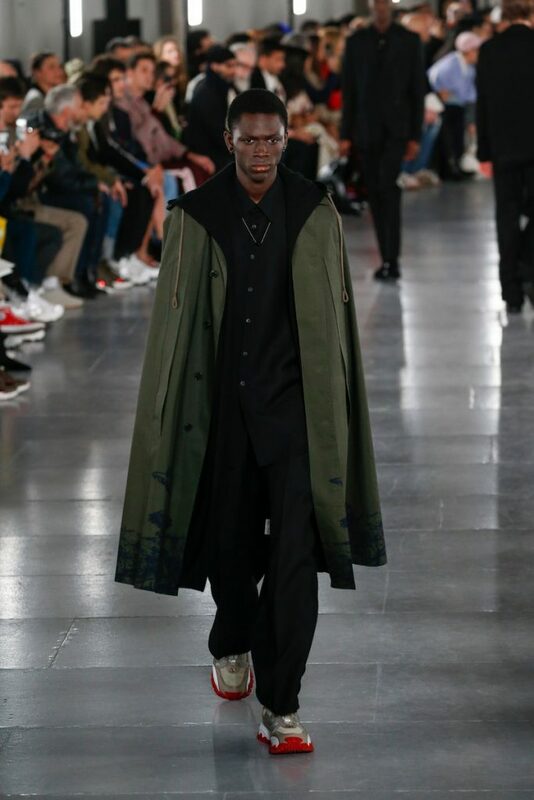 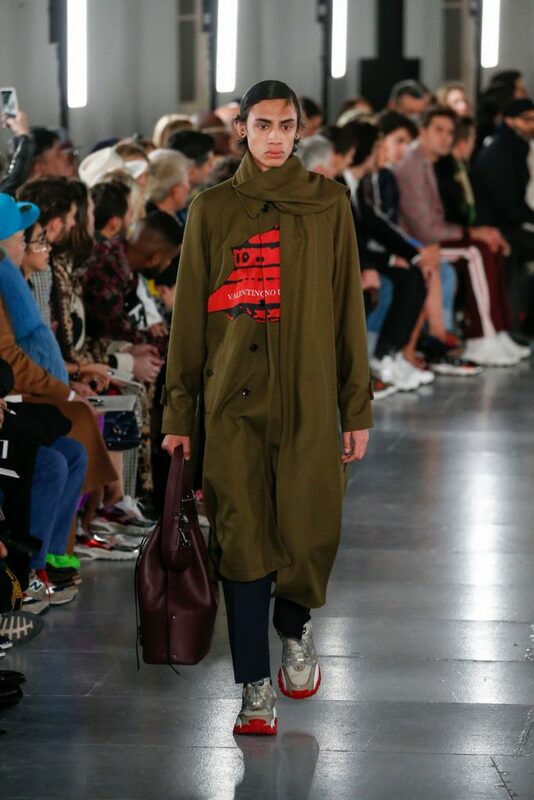 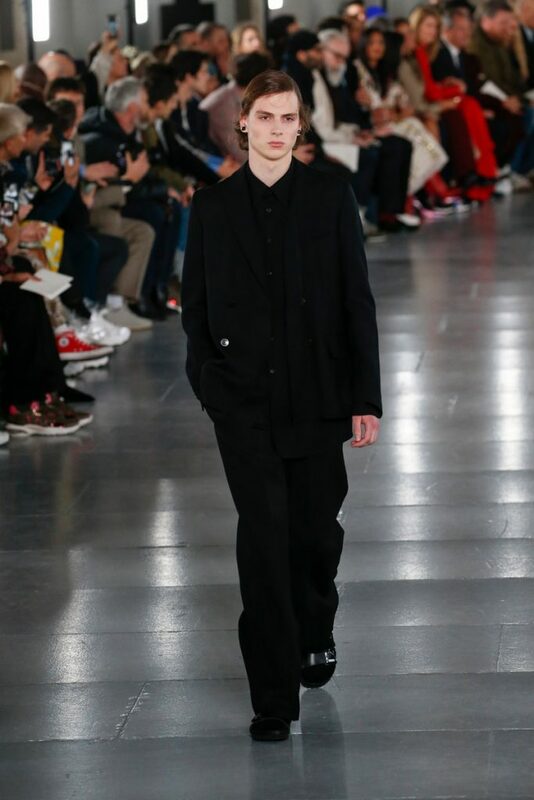 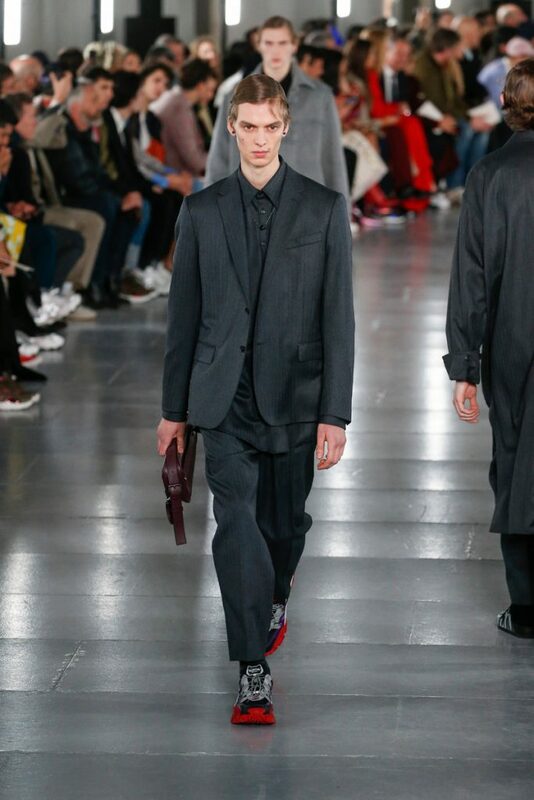 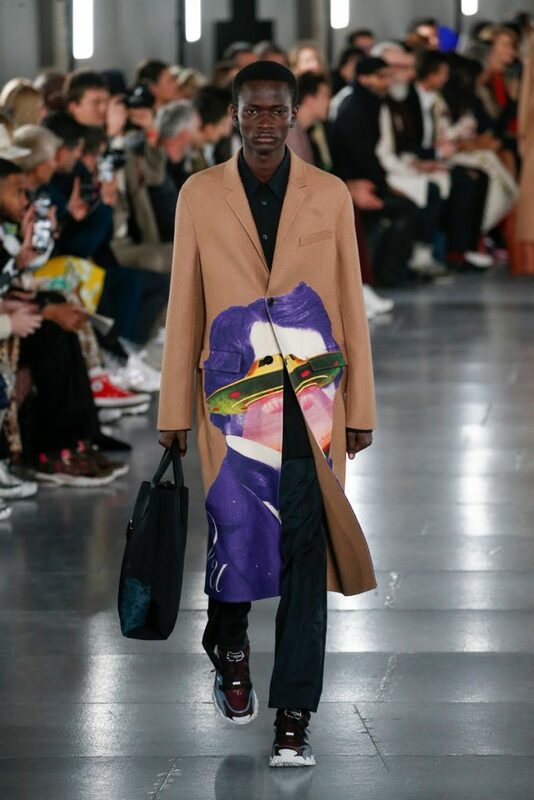 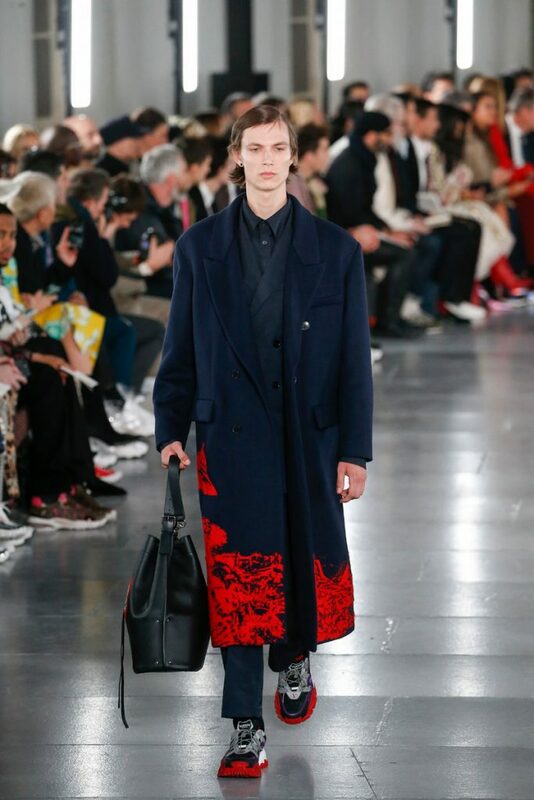 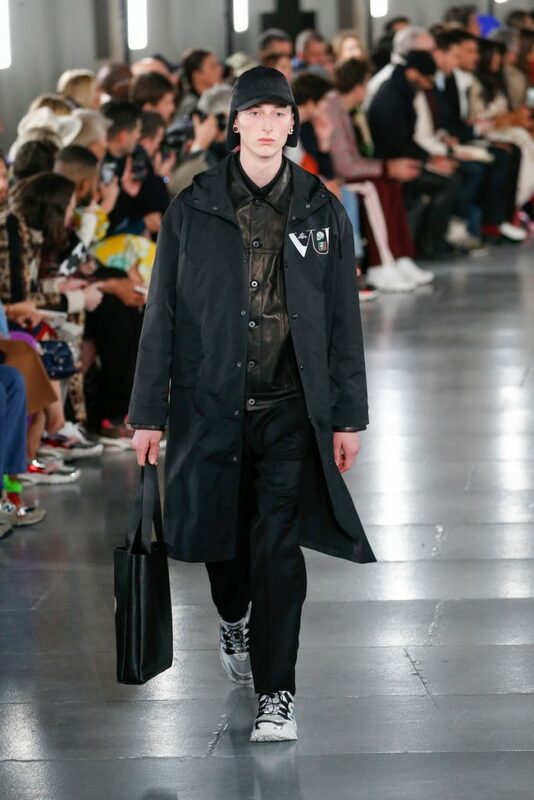 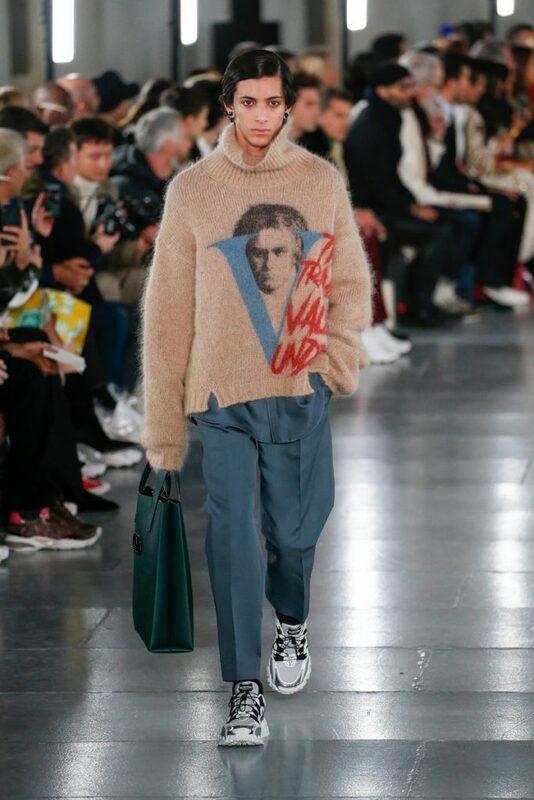 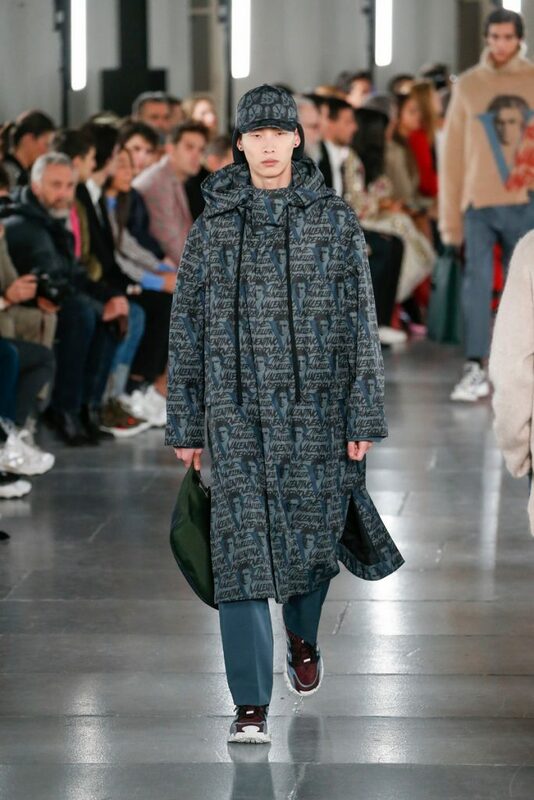 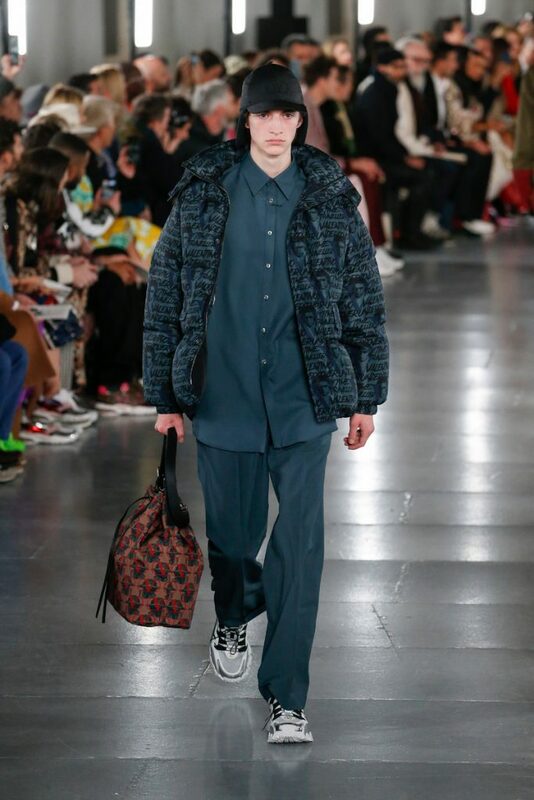 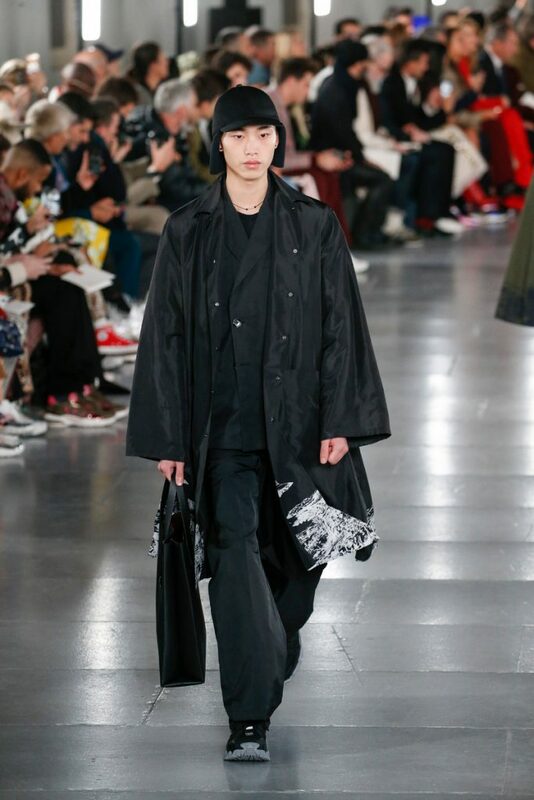 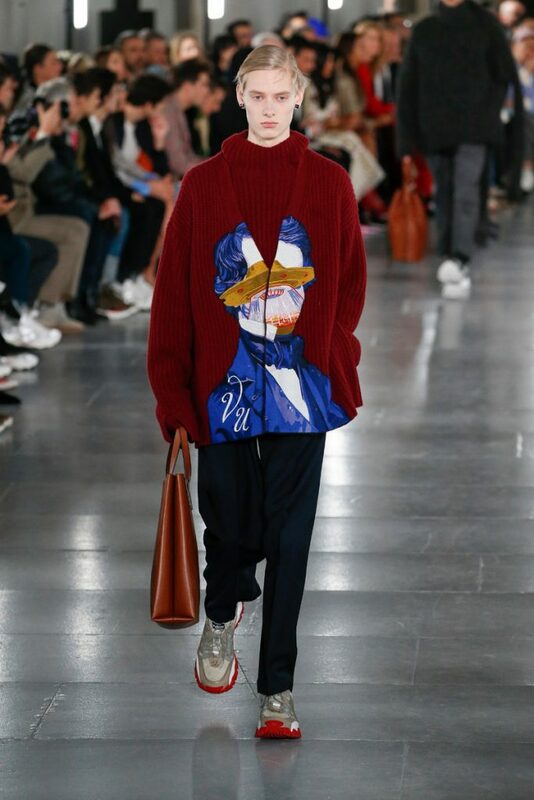 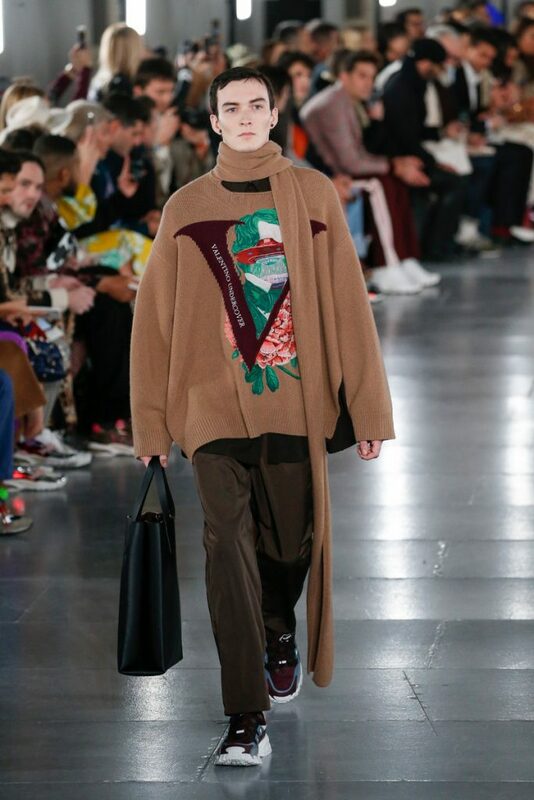 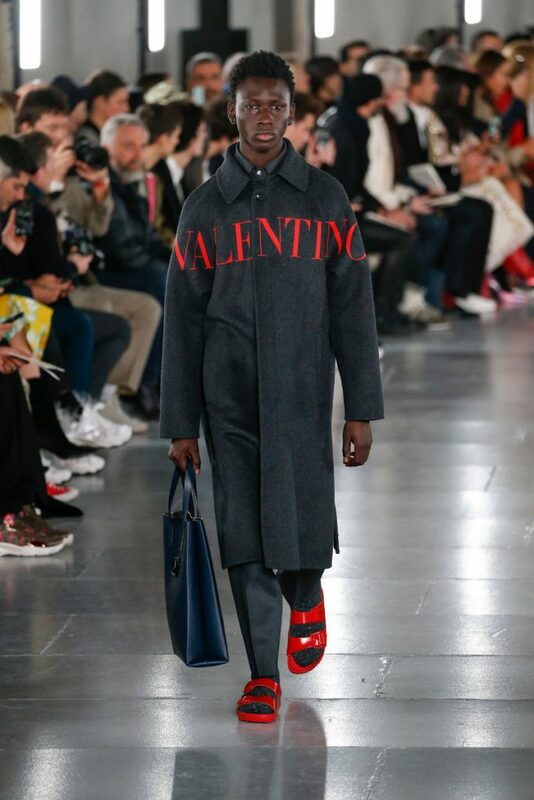 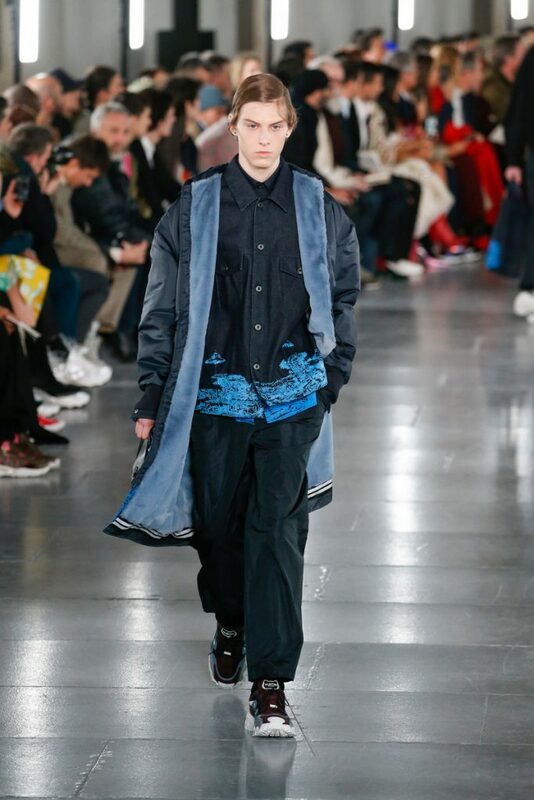 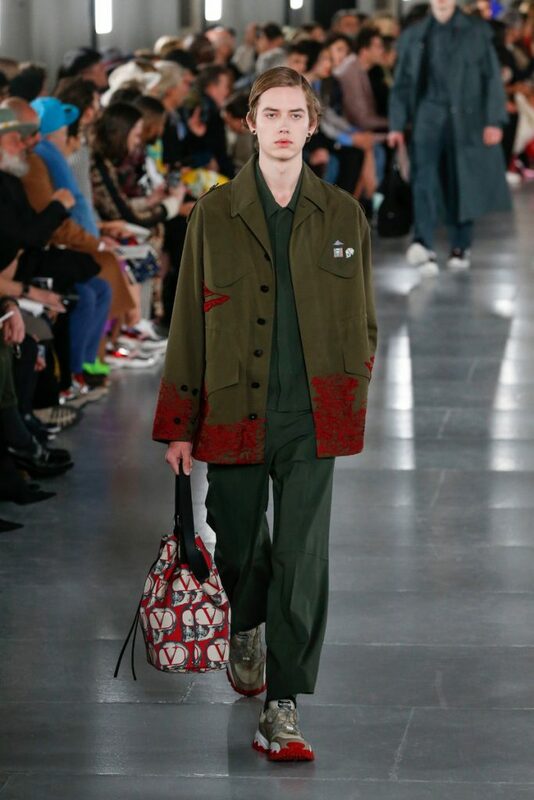 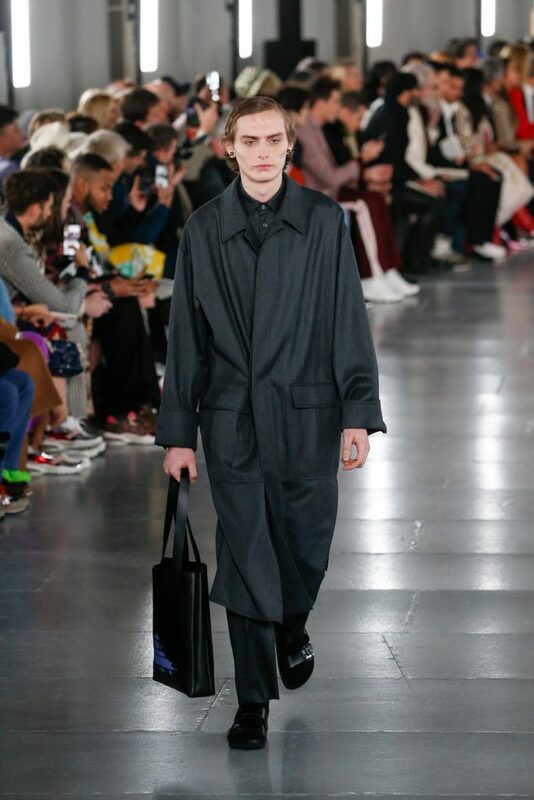 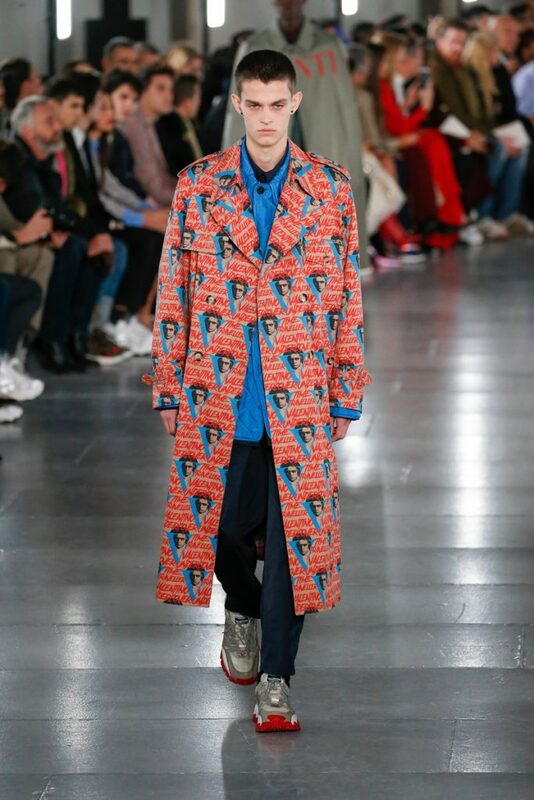 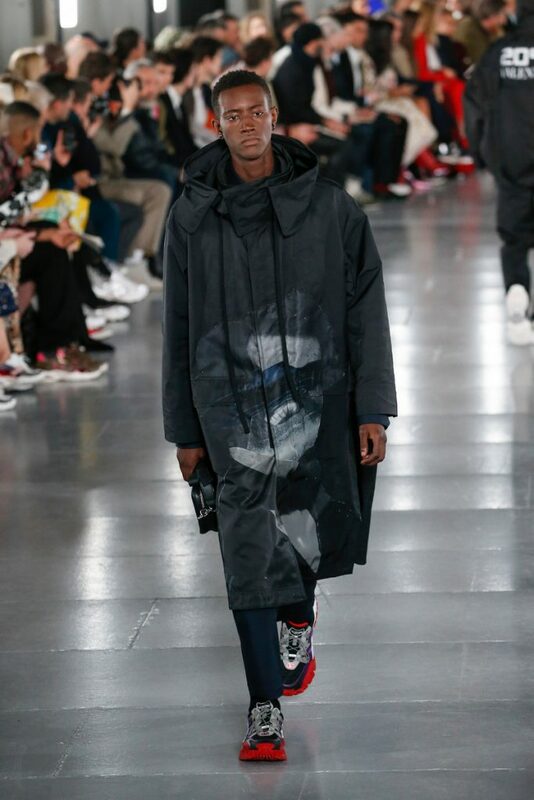 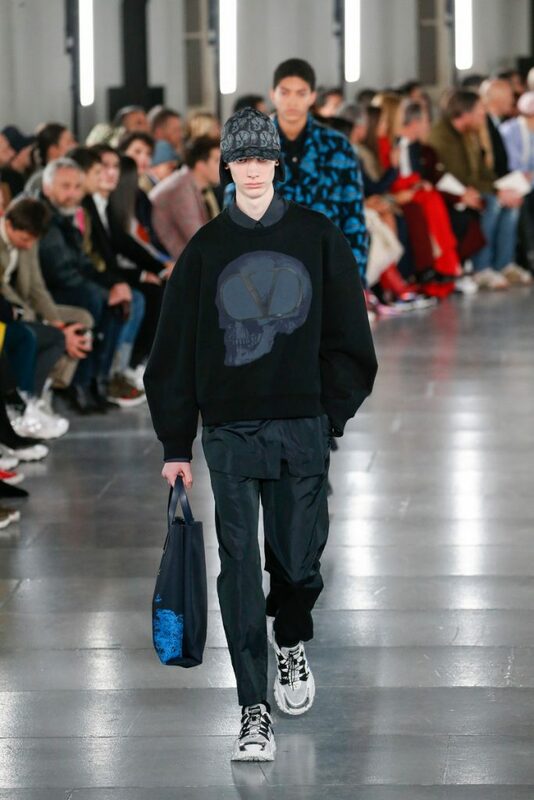 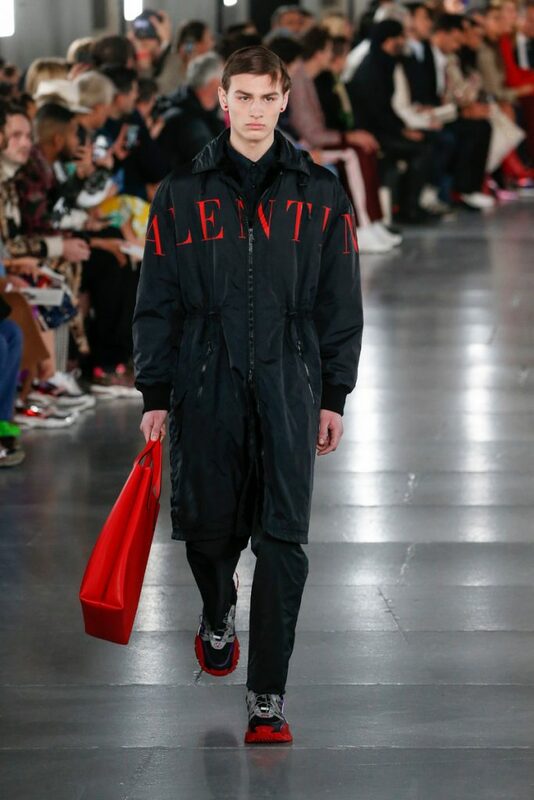 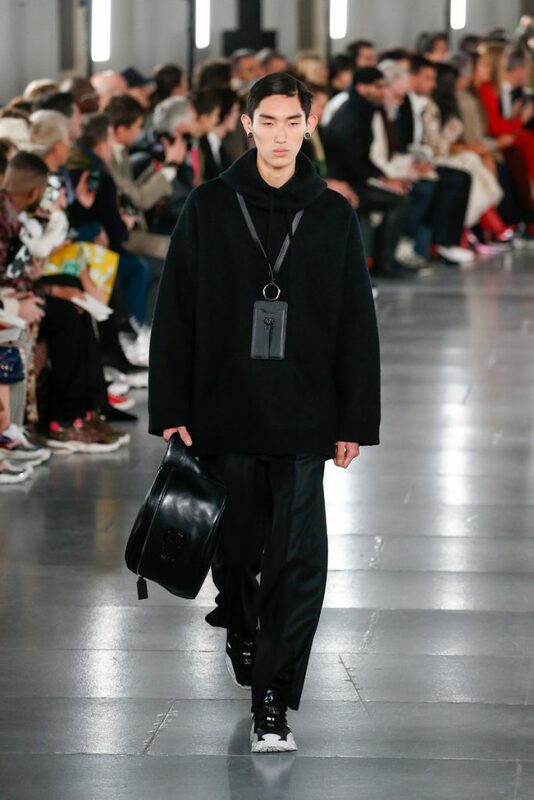 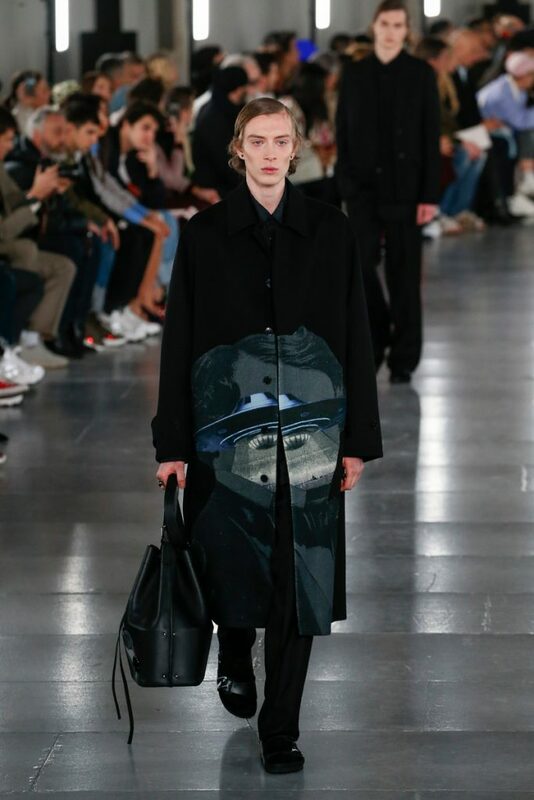 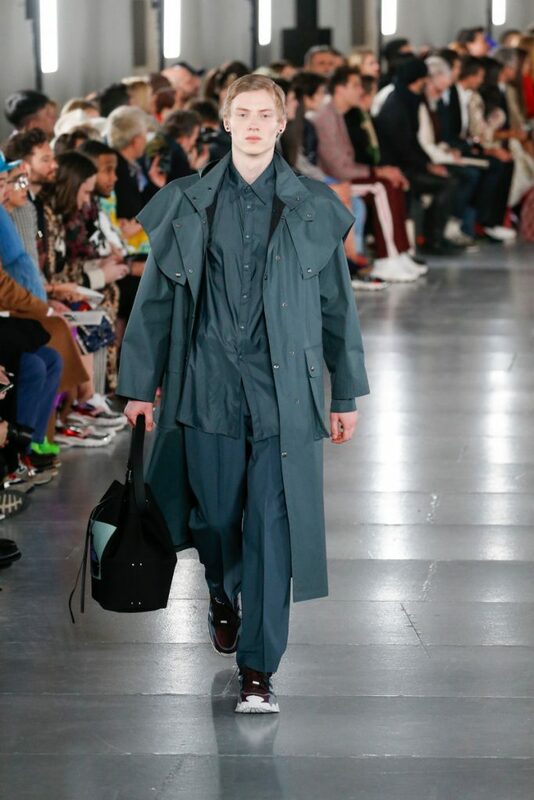 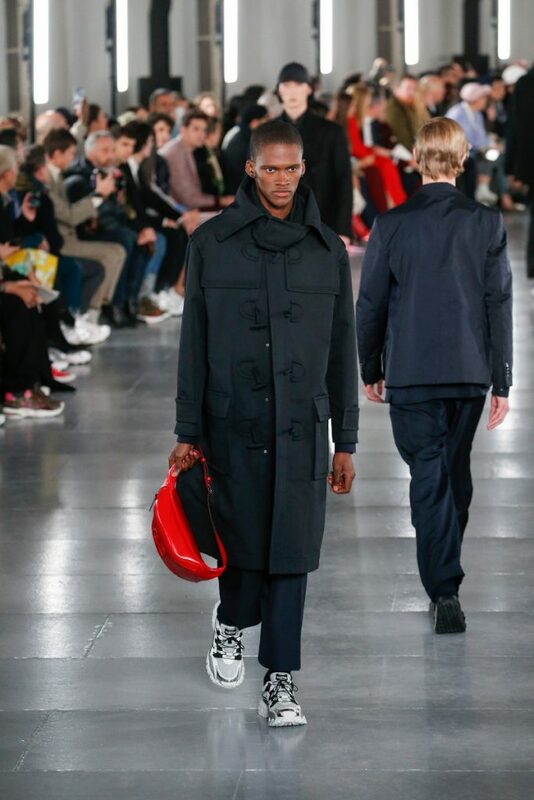 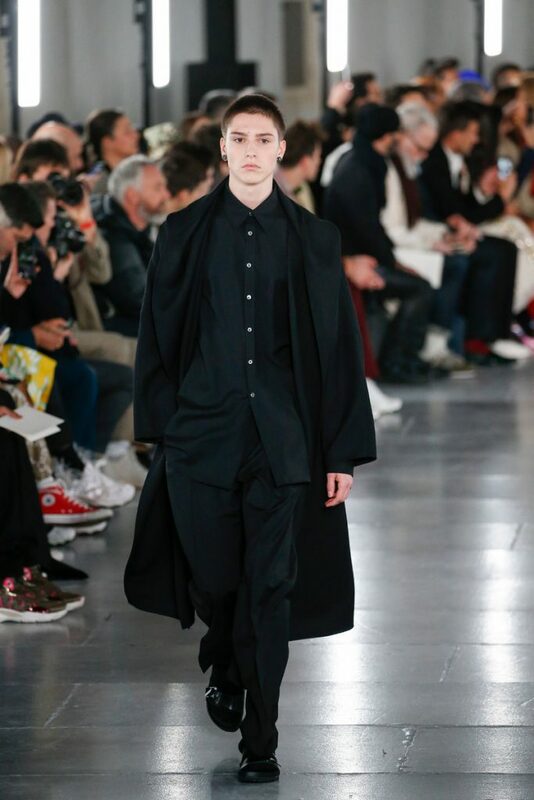 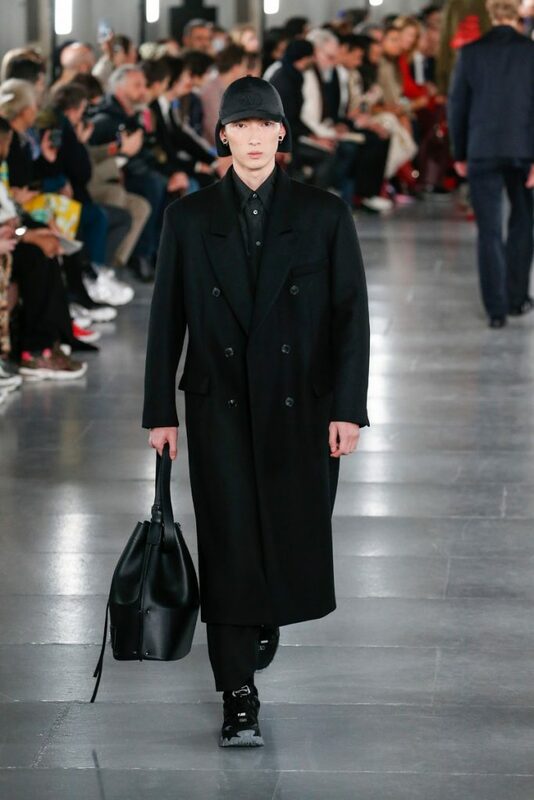 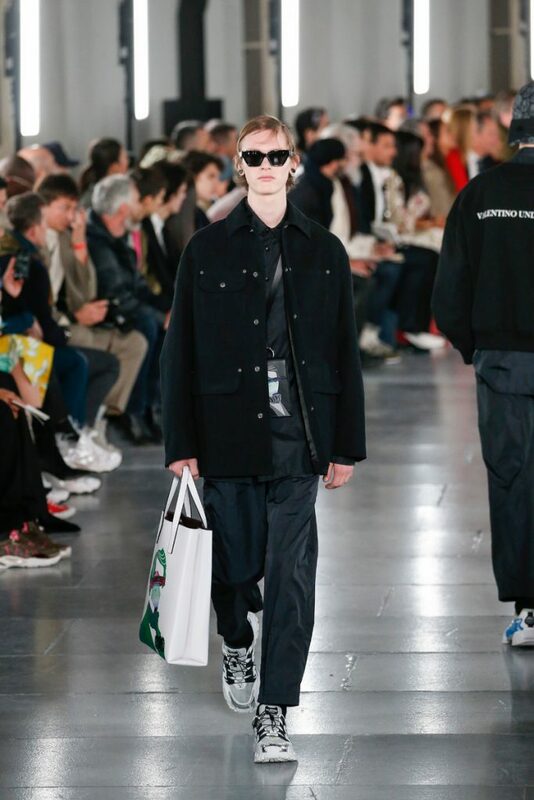 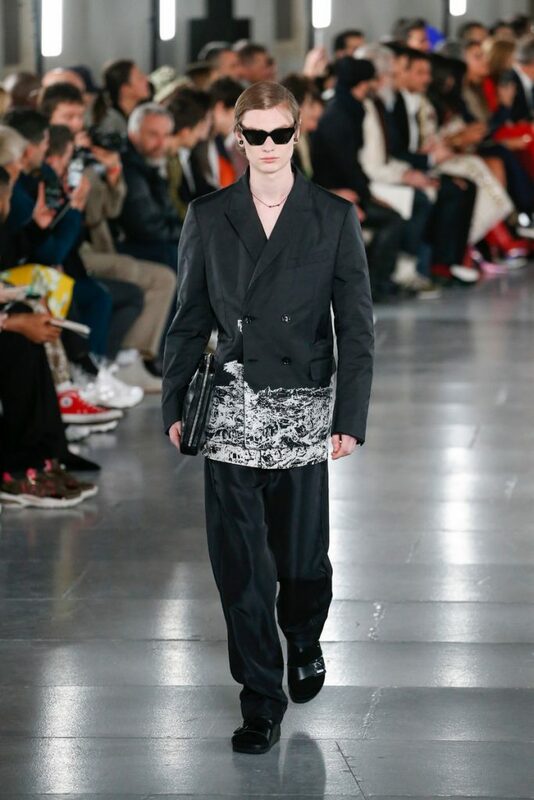 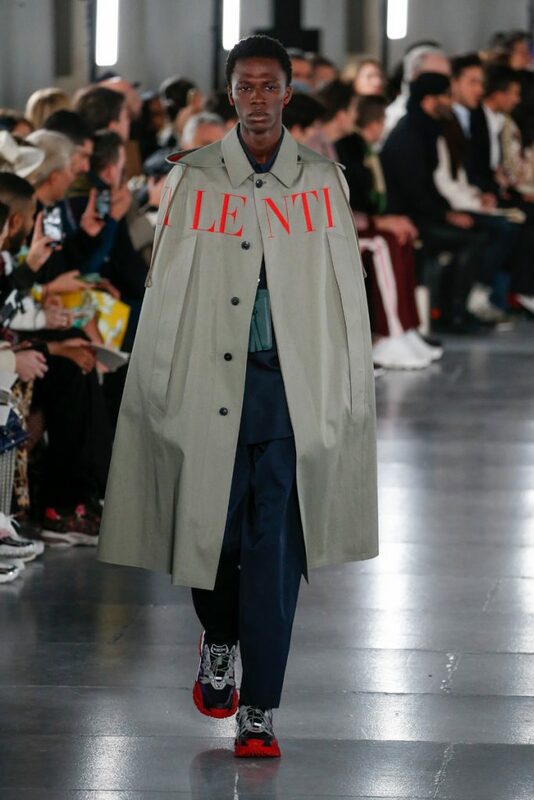 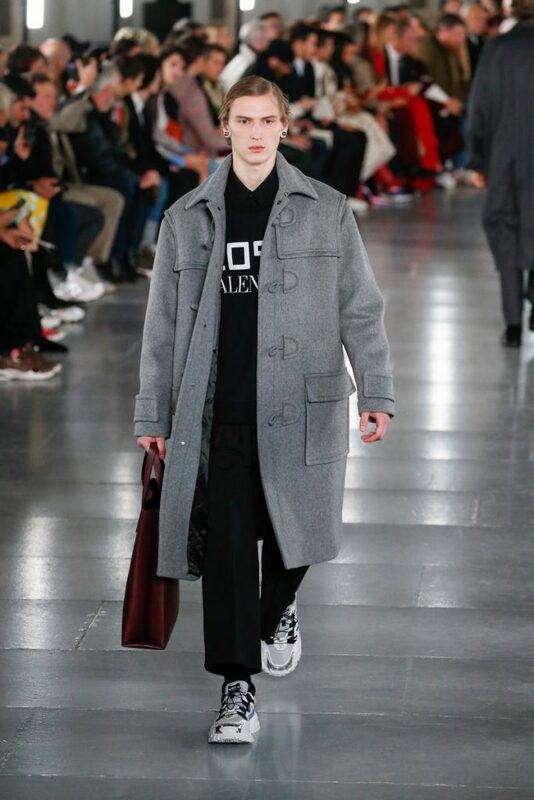 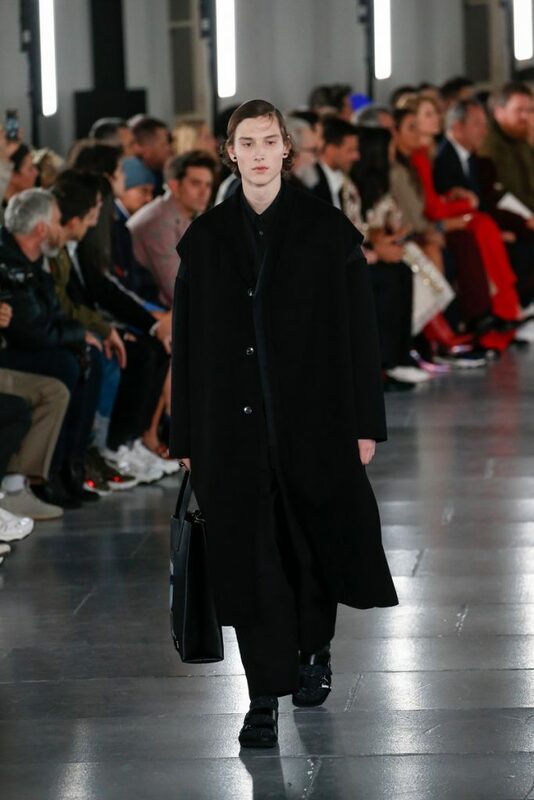 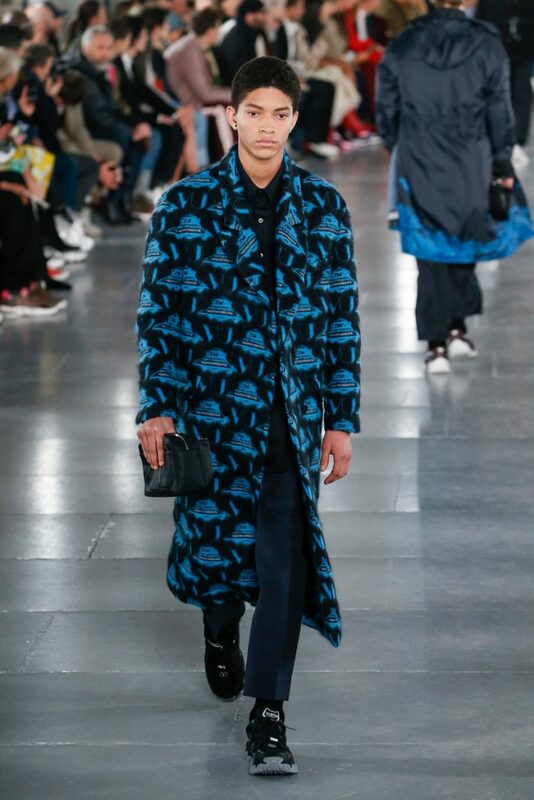 Together they created a series of prints (with time traveler slogans, spaceships, skulls, and a joint VU – for Valentino – Undercover logo) that would appear in both of their menswear collections. 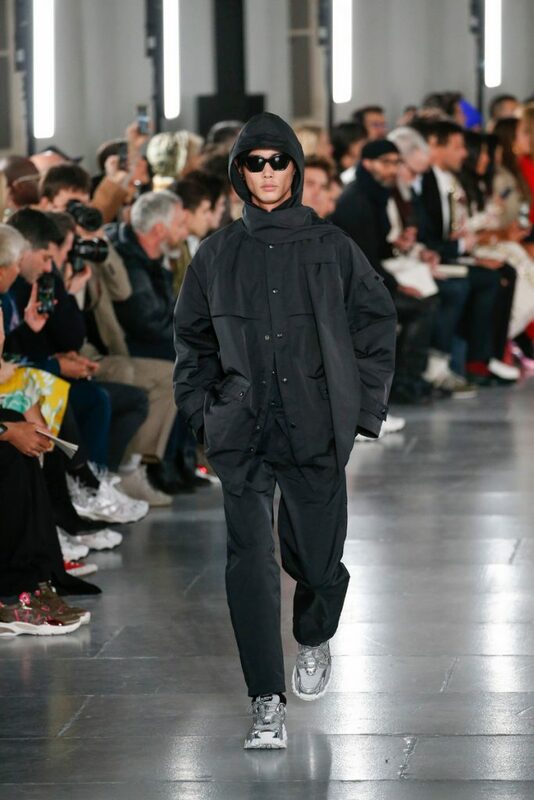 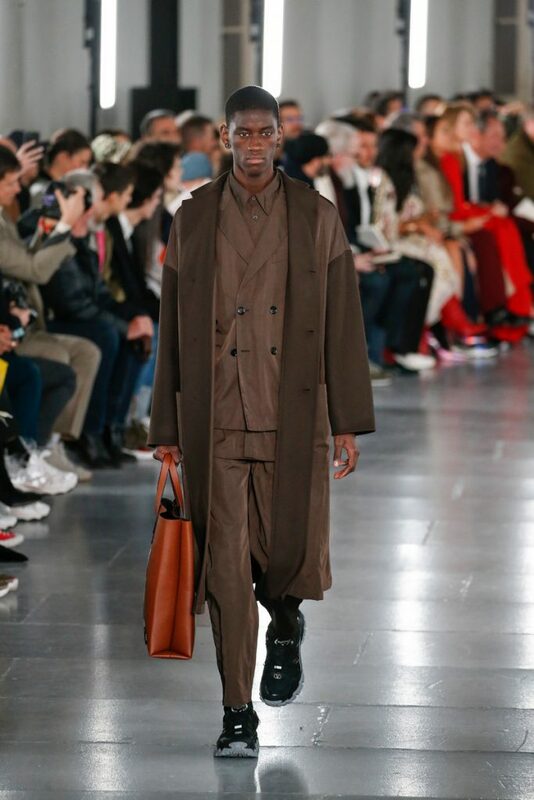 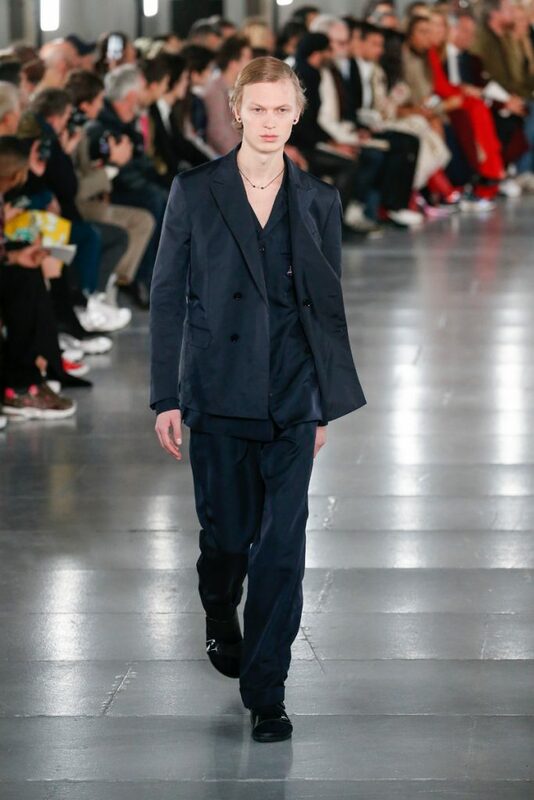 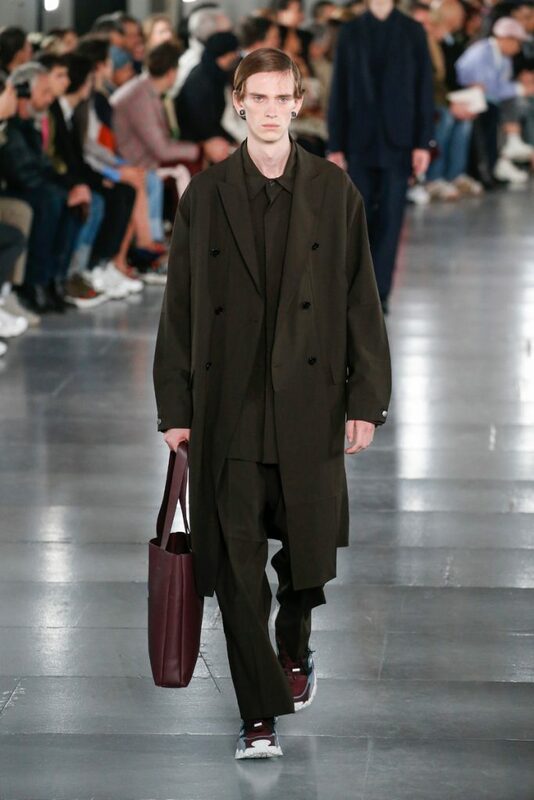 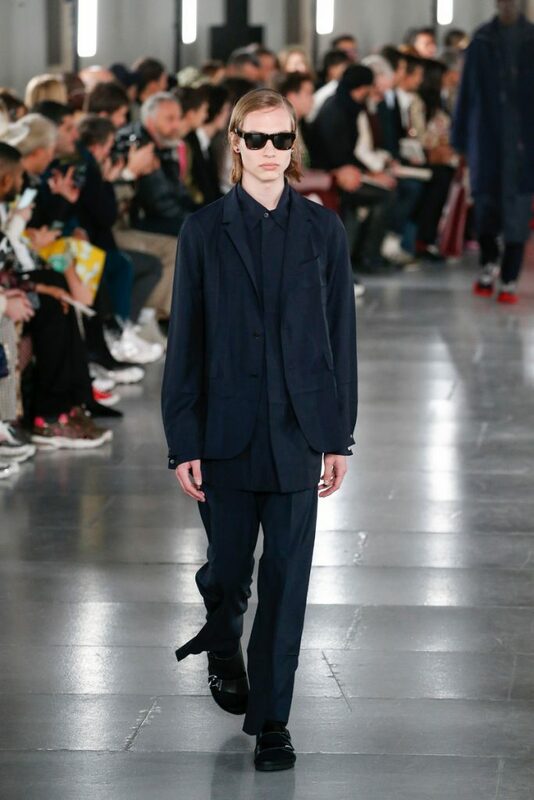 In tailoring, like many fashion houses this week, Piccioli moved away from the sportswear and into a more relaxed way of dressing. 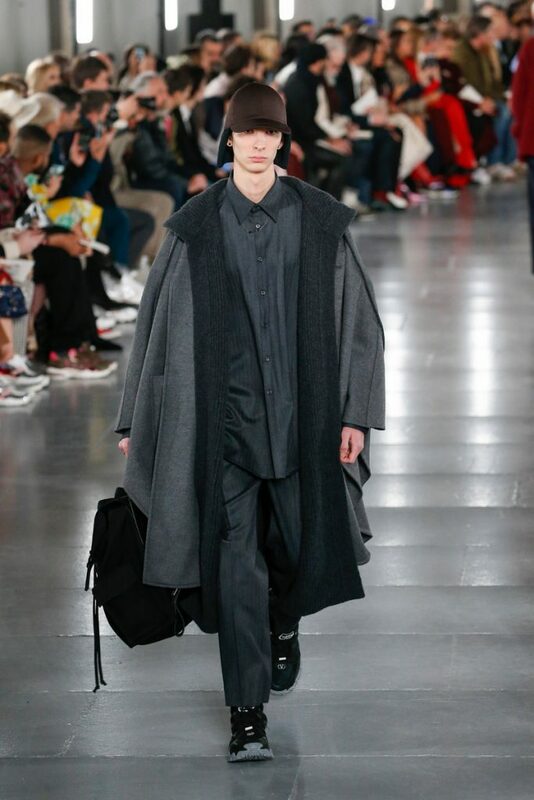 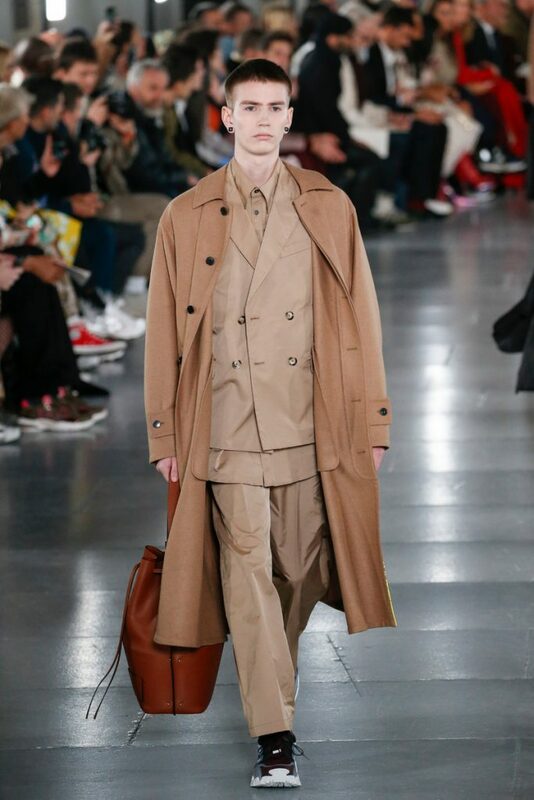 He said he’d been looking at the fluidity of Italian tailoring in the 1980s. 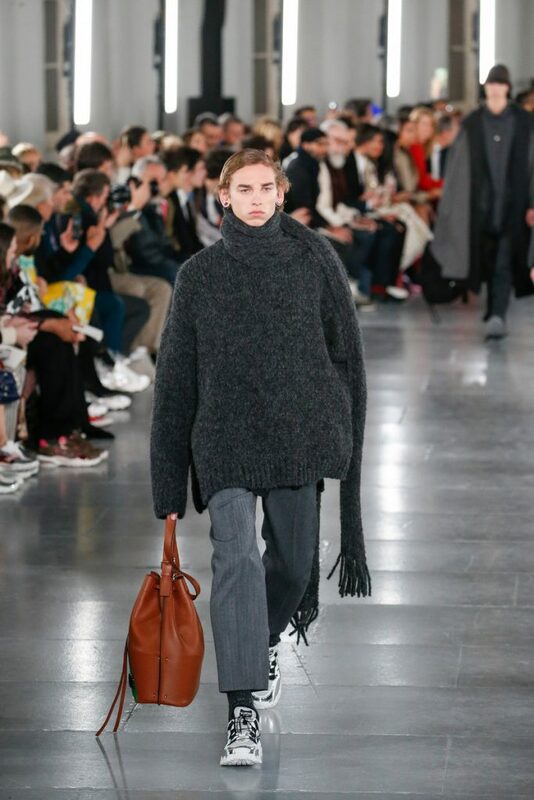 And so he designed easy going suits, comfy woolen coats, the softest sweaters and jackets with the feel of a hoodie. 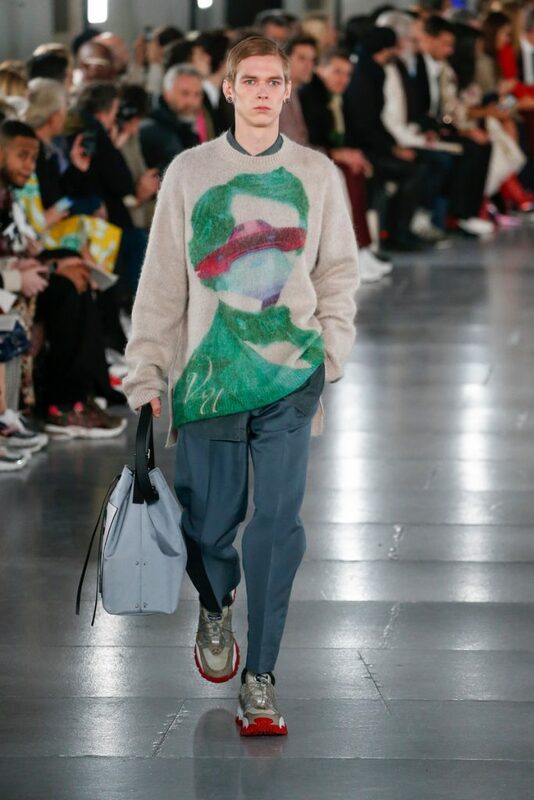 All worn with perfect pleated pants and either sneakers or Birkenstocks, the second collaboration for this collection. 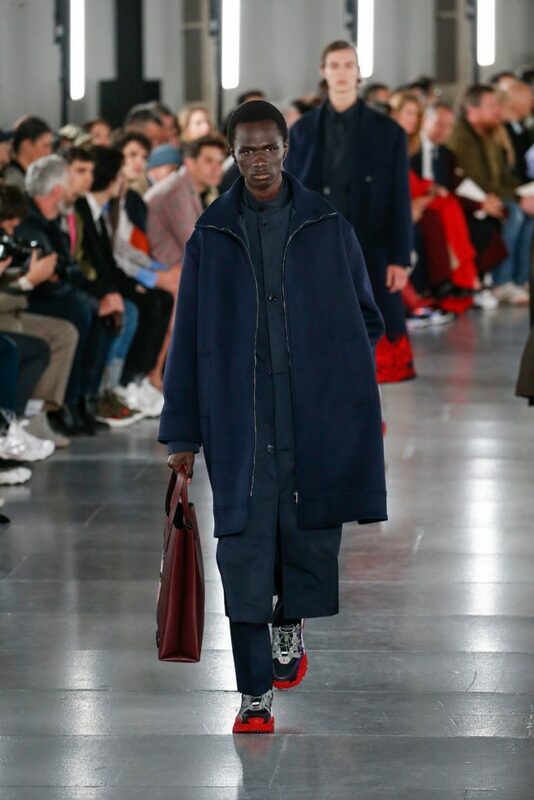 And all of a sudden patent red Birks worn with black socks seemed like a pretty good footwear option to wear on a warm October day.